Finding good customers and generating revenue is the life blood of any business. 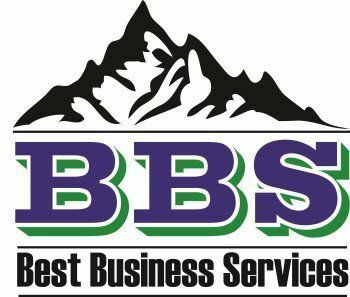 BBS helps companies attract the right prospects and transform them into loyal and referring customers. We do that with great marketing strategies, solid marketing infrastructure and the appropriately matched promotional programs designed to build long-term strong relationships. A full-blown marketing team and program is often cost-prohibitive for most small businesses. We have found that most small business owners don't need or want 3 notebooks filled with plans that they never implement. Companies need a smart marketing strategy with practical and affordable actions that will positively impact their business over the next few weeks and months. With BBS on your side, you can start to develop your unique marketing strategy that will position your company correctly to attract the customers you want for your business. We spend enough time with you to really get to know your business and what you are looking for and what clients will drive your future success. We determine your competitive advantages and the benefits you can deliver to your customers that set you apart from competitors. We position those benefits so that your customers can find you and easily determine that you are the right fit for what they are looking for. From BBS’s research about your company and industry, we will craft a marketing strategy document that you can use to propel your business to the next level during the upcoming months. We include outlining your strategic and marketing goals as well as all of the functional marketing areas that either directly or indirectly impact your ability to attract and keep clients. This marketing snapshot will show you where to spend your time, energy and resources first. We provide your business with a summary of the most important marketing initiatives, make key recommendations, and develop ongoing strategies for all of your functional marketing areas. You can then implement these marketing strategies or hire us to implement them for you. BBS will stand beside you and help you implement your marketing plan and be with you side-by-side to ensure that your marketing efforts succeed. We are a partner in your future success and will do all we can to help make your company achieve all of its strategic objectives.